Batman fans, check your bank accounts prior to the 19th January when the Original Batmobile from the 1966 Adam West TV series goes under the hammer. Barrett-Jackson, the World’s Greatest Collector Car Auctions has that honor to offer George Barris’ Original Batmobile at its 42nd annual Scottsdale auction for undisclosed price. This one of the most recognized and popular pieces of entertainment history worldwide, was purchased by Barris in 1965 for a dollar from Ford Motor Company. Since then, the car has been part of the 87-year-old’s private collection. The 19-foot long, two-seat, bubble-topped grand touring car prototype was entirely hand-built in 1954 by Ghia Body Works in Turin, Italy, and unveiled in its original pearlescent Frost-Blue white paint finish in 1955 at the Chicago Auto Show. The original one-off 1955 Lincoln Futura concept car in a fresh red paint had its film debut in “It Started with a Kiss”, a 1959 film starring Debbie Reynolds and Glenn Ford. 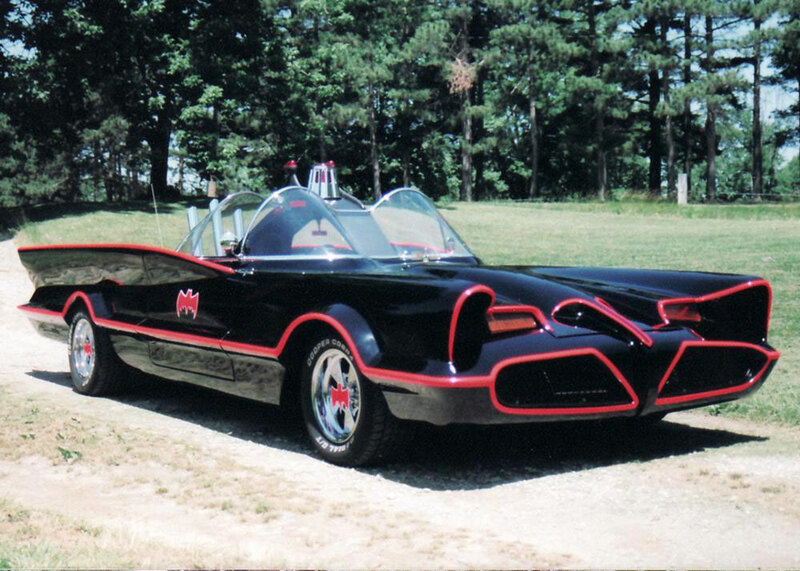 In late 1965, Barris was engaged by 20th Century Fox Television and William Dozier’s Greenway Productions to to create a car for the series with only 15 days and a $15,000 budget, so he decided to modify the Lincoln Futura concept car into this iconic Batmobile. Original Barmobile features a 390-in 1956 Lincoln V-8 engine and a B&M Hydro Automatic transmission, according to the release. 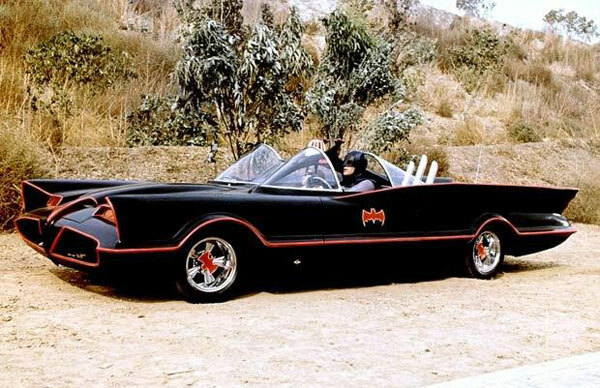 This iconic car also boasts a multitude of gadgets such as a nose-mounted aluminum Cable Cutter Blade, Bat Ray Projector, Anti-Theft Device, Detect-a-scope, Batscope, Bat Eye Switch, Antenna Activator, Police Band Cut-In Switch, Automatic Tire Inflation Device, Remote Batcomputer, the Batphone, Emergency Bat Turn Lever, Anti-Fire Activator, Bat Smoke and Bat Photoscope. 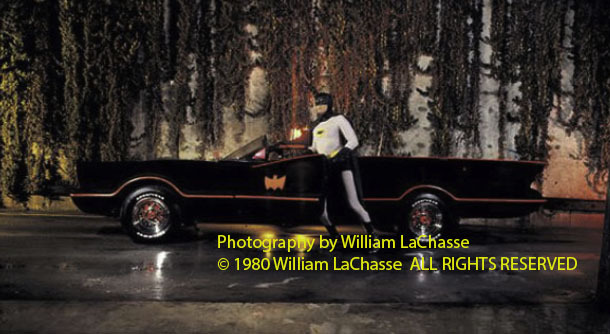 Back in 1966, the Batmobile has an estimated value of $125,000, following $30,000 in upgrades to make futuristic car ready for the short-lived Batman television series. Although Barrett-Jackson hasn’t announced the sale price of the car, by today’s standart, its estimated value is around $2 million. George Barris’ Original Batmobile will cross the block alongside Barrett-Jackson’s 5000 Series on Saturday, January 19th from 5:00pm – 9:00pm. 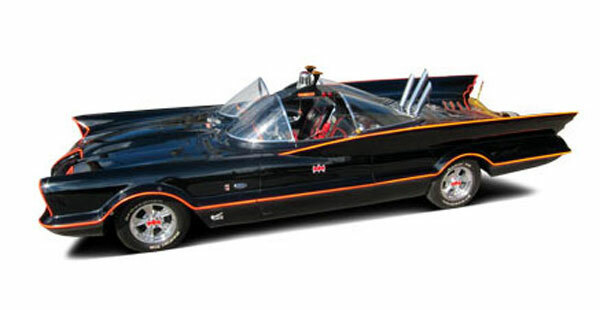 The original #1 1966 Batmobile created by renowned customizer George Barris, will be offered for grabs for the very first time by auctioneer Barret-Jackson at its 42nd annual Scottsdale auction scheduled to be held on 19th January 2013.